A couple of hundred protestors marched in New York and Washington this week, calling on Wal-Mart to pay workers $15 an hour in an echo of the rallying cry for fast-food workers. 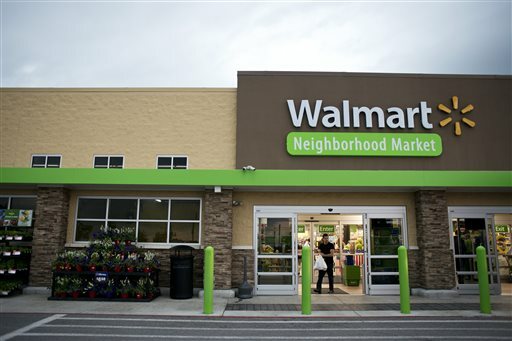 (Bloomberg Businessweek) — Wal-Mart, the country’s biggest private employer, has been criticized by activists and by its own workers for not paying living wages or providing full-time hours to those who want them. This week, however, all of the company’s senior executives appeared on a stage in Rogers, Ark., for six hours, and no one in the audience of investors and analysts asked much about the company’s 1.3 million U.S. employees.